It was a great honor to be invited on FlirtFm 103.1, the community radio of Galway, ireland, to present our new releases on his Ethnic Dubwise show. If u missed the session you can listen it again on now and have a little taste of the things to come! 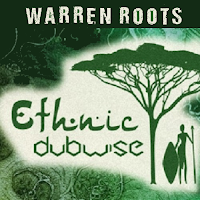 Give thanks Mr. Warren Roots for the kind invitation to be part of your show. More love outta Cyprus .